With nine expansive floor plans ranging from 760 – 1,065 sq. ft., tailor your home to suit your life at Elan 41 Apartments. We offer apartments for rent in West Seattle, Washington, in an urban neighborhood with an eclectic vibe. We’ve designed our living spaces to match that spirit and enhance your life. The Pacific Northwest is known for its fresh food. When you live in our modern community, you can bring home your favorite local ingredients every night of the week. Prepare first-rate meals in your chef-quality kitchen, complete with impressive stainless-steel appliances and dazzling granite countertops. The modern living spaces at Elan 41 apartments feature a convenient in-home washer and dryer so you can toss in a load of laundry while you watch your favorite show. Once they’re washed, organize your clothes in your generously sized walk-in closet. 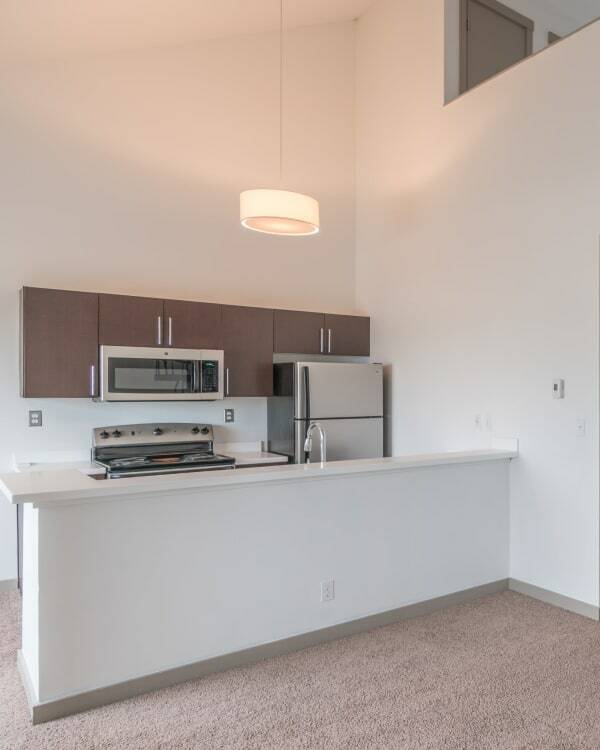 Expansive floor plans and design-inspired finishes set us apart at Elan 41 Apartments. Choose from our one and two bedroom Seattle, WA, apartments for rent near CenturyLink Field. With nine fresh and unique floor plans available, you have your pick of our generously sized layouts. Each home boasts a state-of-the-art kitchen finished with stainless-steel appliances and an in-home washer and dryer to cut down on your chores. Featuring luxury finishes around every corner, embrace easy, urban living at Elan 41 Apartments. Nine Modern Floor Plans Ranging from 760 – 1,065 sq. ft. 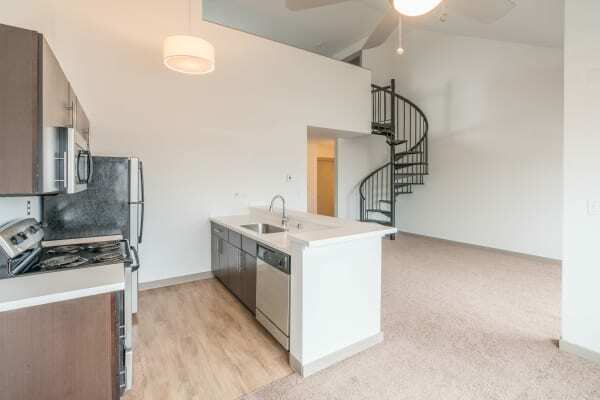 If you’re ready for an upgrade, contact Elan 41 Apartments today to schedule your personalized walkthrough of our West Seattle, Washington, apartments for rent.